Mobile phones are expensive, that is something we all know. So, we can say that buying a proper case is a must have for every cell owner. These accessories prove to be very useful. Leather cases, in particular, protect your phone while letting you enjoy its natural features. But how do you know what leather case should you choose? This blog post will give you some important details to consider when you're buying a leather case. Time is money, right? Spare your money, shorten your search and read, below, what you should be buying. A reasonable price. The Internet is full of ideas and expensive items. In particular, leather cases are some of the most expensive mobile accessories. Feel free to browse for options, but, unless you're some Bill Gates, we recommend you buying a more cheaper case. You can find under $5 durable, high-quality leather cases that deserve your money. Choose a leather case made for the type your phone is. Don't buy a nice-looking iPhone case and pray it will fit your Windows Phone. It just ain't the right way to do it. Your cell phone gets protected only if the leather case fits your phone perfectly. 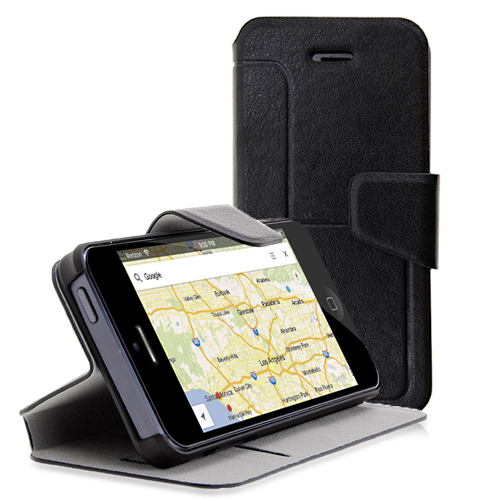 Consider buying a leather case with extra features for example one that is also a wallet or a stand leather case. Get yourself an item that lets you access all mobile functions and buttons without removing the case. Buy a leather case with a design that matches your unique personality. There are so many interesting options in-store, from bright colored cases to sober ones and printed items. Leather cases protect your cell from shocks, scratches, dirt while providing a stylish look. We can say one definitely has to try these not to mention getting used to them. But again: try buying the item that gives you the highest degree of satisfaction! Getting more enthusiastic about this subject? Enter here and browse some interesting leather cases for your mobile phone. Don't forget to send us your impressions!